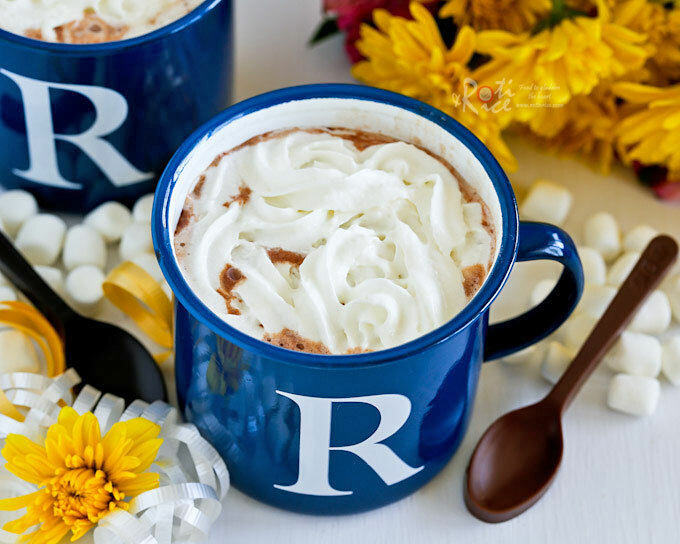 This rich, creamy Nutella Hot Chocolate with a hint of hazelnut is a treat for the winter months. Delicious topped with whipped cream or marshmallows. New Year’s Eve will always be special. Why? Because it is the blog anniversary of Roti n Rice. Yes, she turns a precocious 7 today! It’s been quite a journey and I am so grateful to have you on the ride with me. 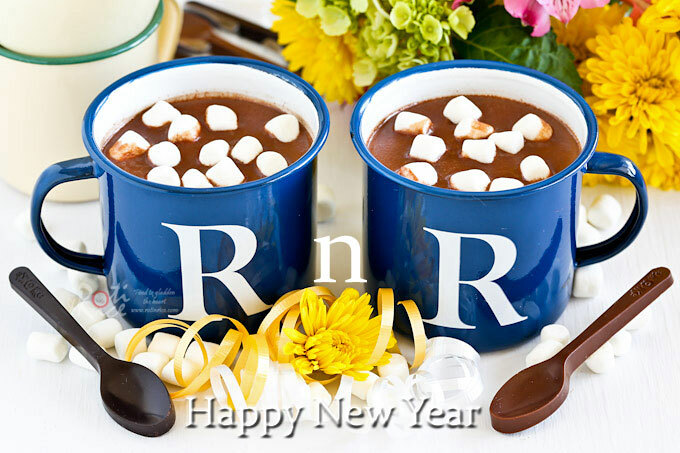 Over these 7 years, Roti n Rice has grown from just a few thousand pageviews to almost 2,000,000 pageviews per annum. Thank you so much for coming day after day and year after year to read my stories and try my recipes. Your unwavering and continued support make it worth all the effort I put into this blog. 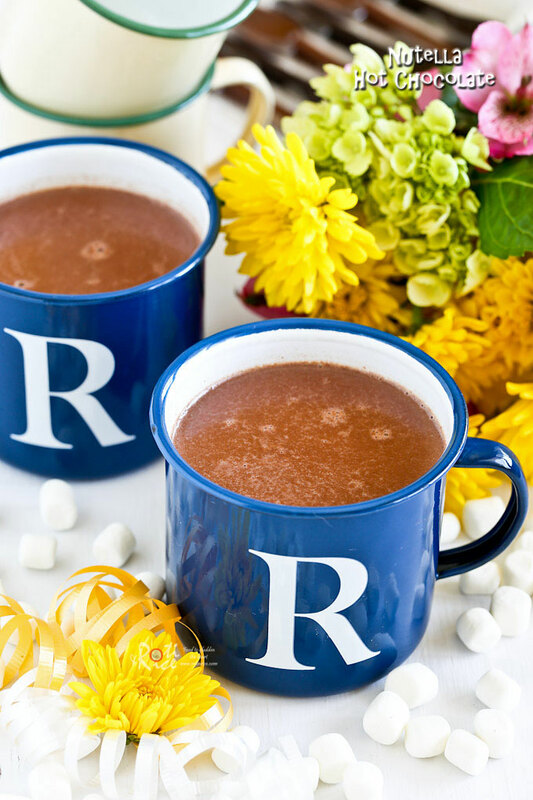 On that warm note, let us get on with today’s easy Nutella Hot Chocolate recipe. 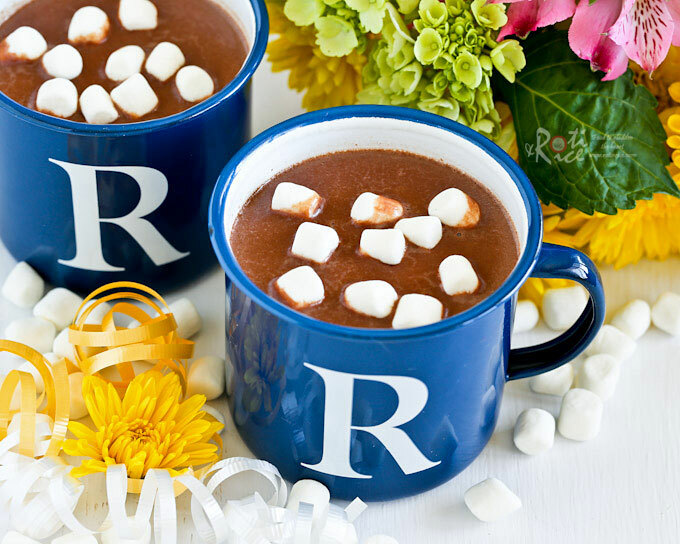 Nothing beats a creamy mug of hot chocolate on a cold winter’s day and homemade is always the best. It is just about perfect – chocolatey with a subtle hint of hazelnut and not too sweet. It tasted even better with a dollop of whipped cream or a handful of mini marshmallows. For even more decadence, stir your Nutella Hot Chocolate with a “choco spoon”. I found these delicious edible spoons in Kuala Lumpur during my recent visit and could not pass bringing a pack home. Unfortunately, these “choco spoons” are currently unavailable online. I will provide the link as soon as they become available. 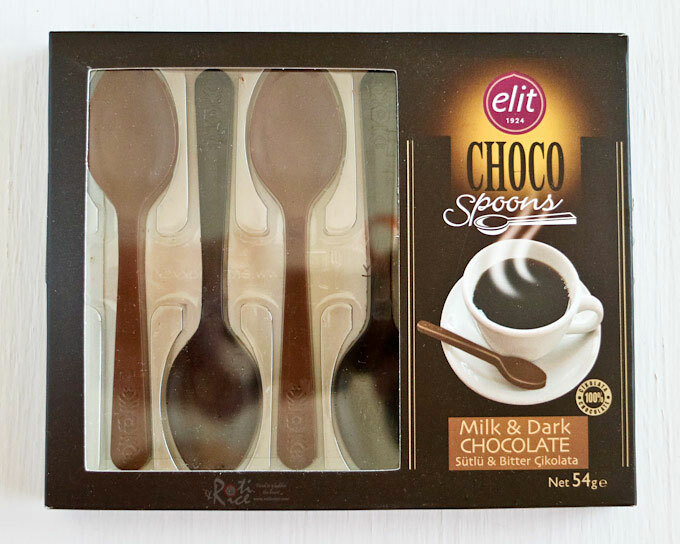 However, if you are crafty, you can mold your own chocolate spoons using this Silicone Spoon Chocolate Mold (affiliate link). It looks like a fun project and the edible spoons would make lovely gift for the chocolate lover in your life. For a rich chocolatey drink, I added 2 ounces of Ghirardelli Unsweetened Chocolate. You can also use Ghirardelli Bitter Sweet Chocolate if preferred. Since Nutella is already quite sweet, I did not think it was necessary to add any more sugar to the beverage. Combine milk, Nutella, and unsweetened chocolate in a medium saucepan. 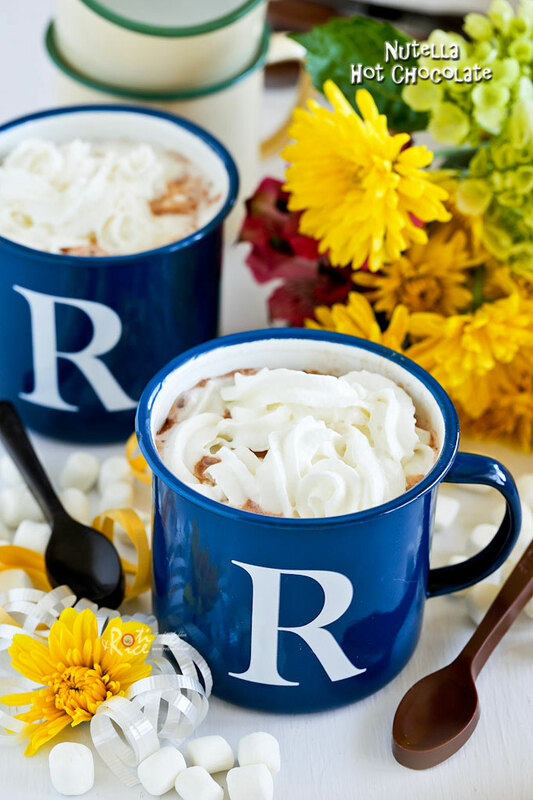 Pour into 4 mugs and serve with dollop of whipped cream or mini marshmallows. And so we have come to the end of 2016. It was a good year and I look forward to 2017.